Maximize your visibility. All-purpose chests sit below the bedrail accommodating tonneau covers and lids. 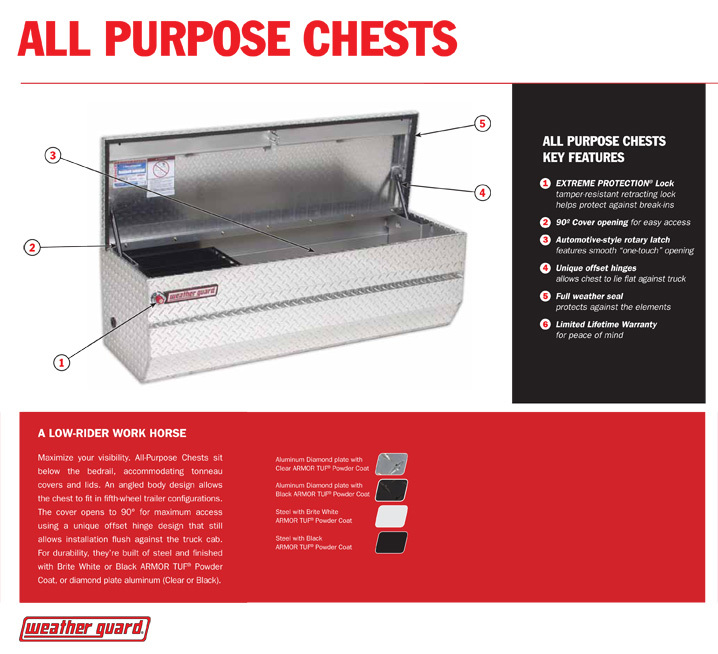 The Model 665-5-01 steel Full-Size Chest features a Black ARMOR-TUF® Powder Coat finish that ensures years of dependability and has a storage capacity of 13.1 cu ft. The cover opens to 90 degree for maximum access using a unique offset hinge design that still allows installation flush against the truck cab. The rotary style latch mechanism keeps the cover tight against the weather seal and provides smooth one touch opening. 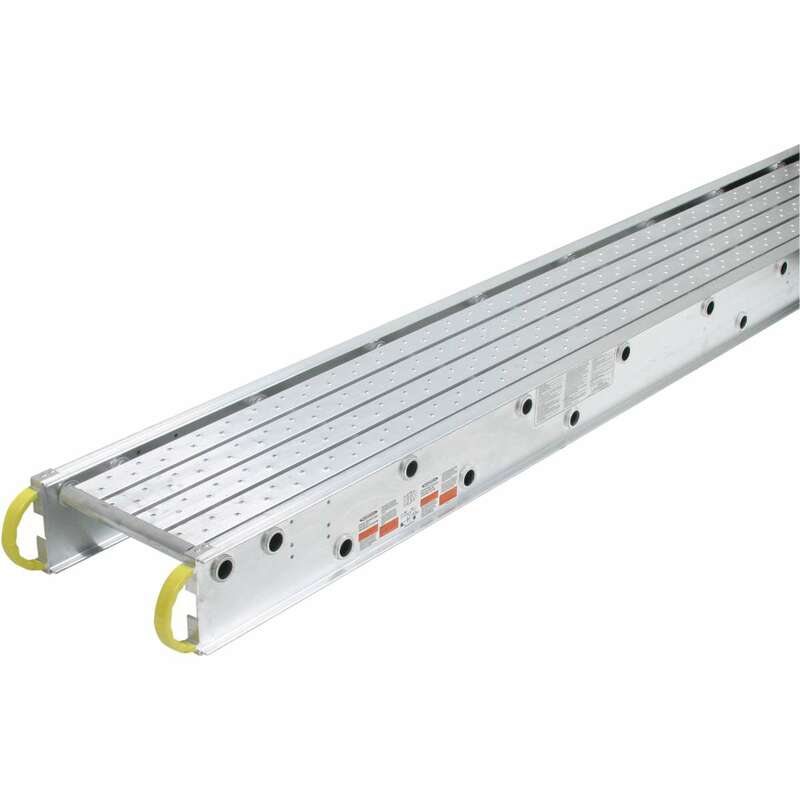 Dimensions: H: 19-1/4" W: 20" L: 62"